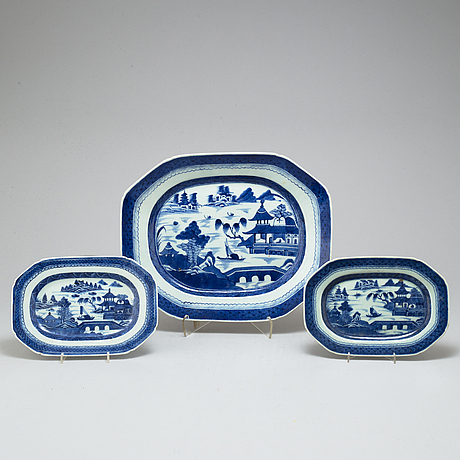 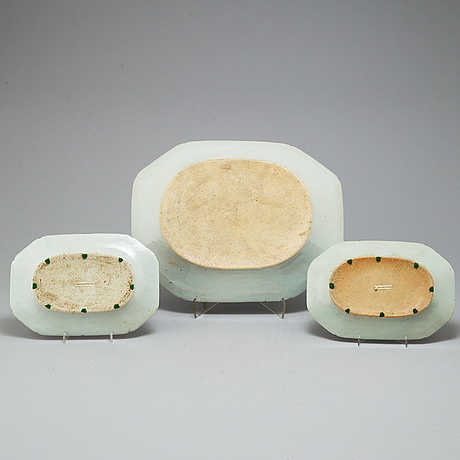 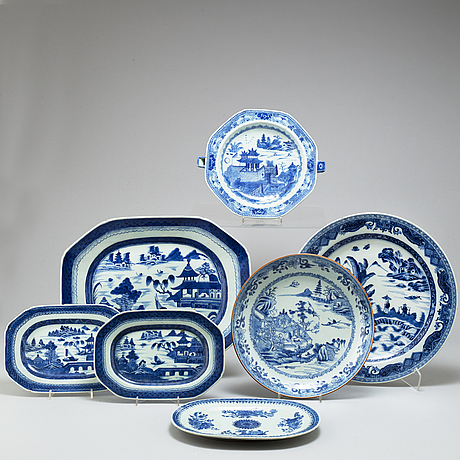 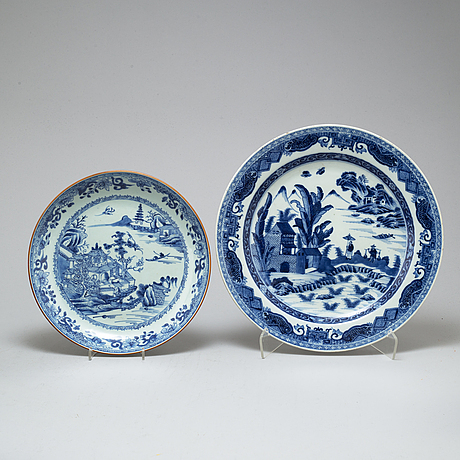 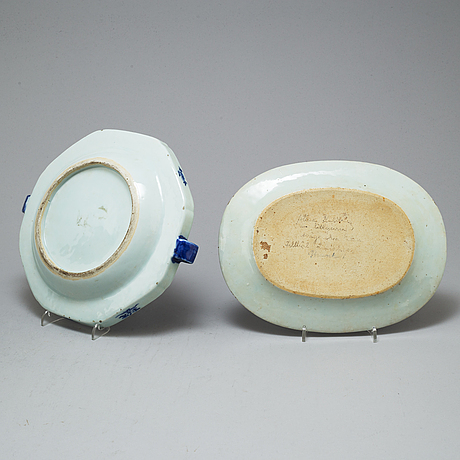 A set of seven blue and white porcelain dinner service parts, Qing dynasty 18th/19th Century. 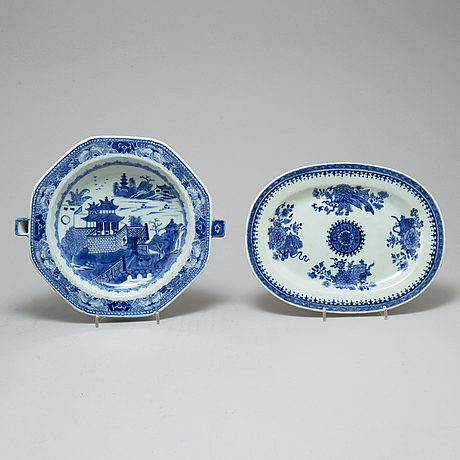 Comprising a serving dish, lenght 38,5 cm, two smaller serving dishes, lenght 25, one dish lenght 26 cm. 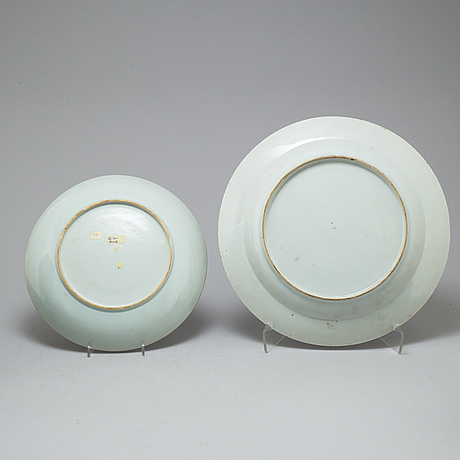 Hotwater dish, lenght 27 cm, round dish, diameter 34 cm, smaller round dish diameter 27,5 cm.